More accurately, Ableton is fine but the Vst plugins loaded into it fail. Parts of the "static" graphics are lost, but also "dynamic" graphics like input curves for audio signals disappear. I've been researching this issue for a while now with no luck. Sorry to hear you are having issues. Try to "Ableton" from Windowblinds. Tried that, but it turned out there was a problem with graphic acceleration for certain plugins, namely the FabFilter ones. Turned it off, and problem solved! 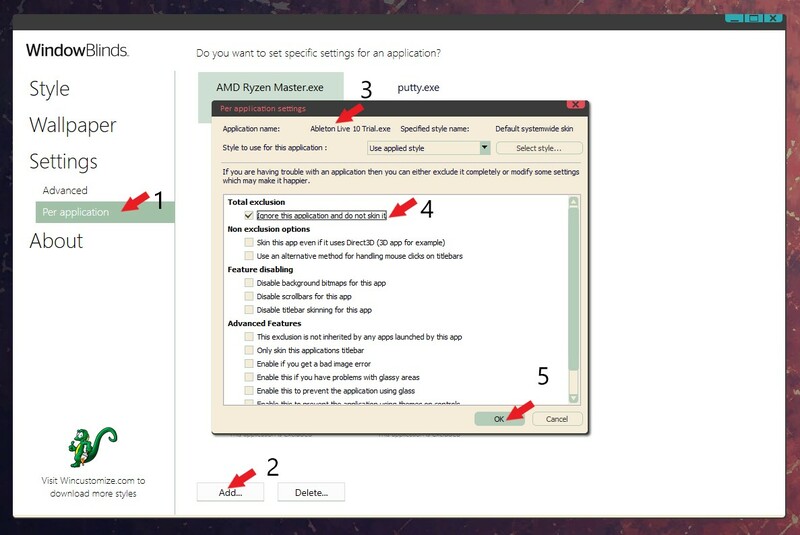 "How can I disable graphics acceleration on my computer? With some graphics cards and host software combinations, the GPU-accelerated graphics acceleration system in our latest plug-ins might cause problems. You can turn off graphics acceleration to find out if this fixes the problem. Tip: If you experience problems, first try to update your graphics drivers to the latest version! Windows: Click the Start button, type 'regedit', Enter to open the Registry Editor. (You might have to give permission to continue.) Navigate to HKEY_CURRENT_USER\Software\FabFilter. Right-click and select New > DWORD (32-bit) Value. Name it GraphicsAcceleration and ensure its value is 0. The above steps will turn off graphics acceleration for all FabFilter plug-ins. To re-enable it, change the value 0 to 1 in the steps above." Ok, glad to hear you figured it out. Thanks for the input.